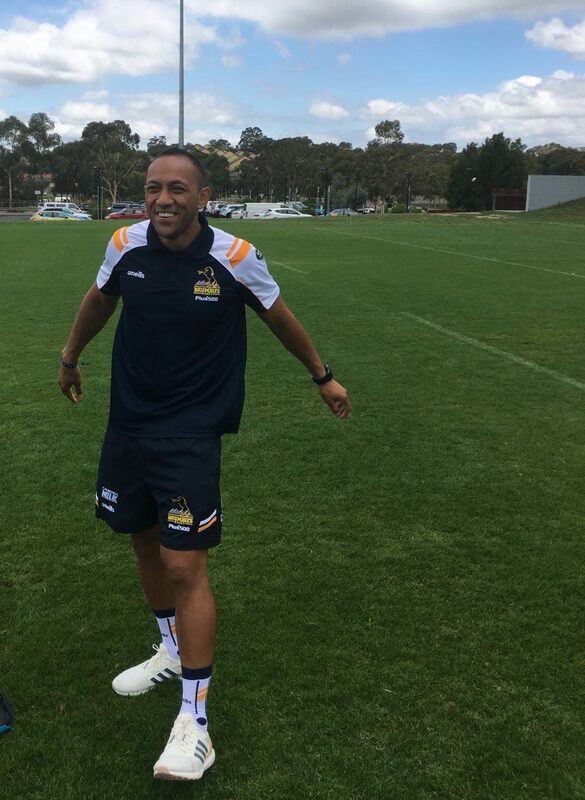 Christian Lealiifano ready for the 2019 season. Photo: Tim Gavel. Interviewing Christian Lealiifano is akin to a journey as far away from football statistics and pre-season predictions as you could possibly get. This is not surprising given his experiences over the past two-and-a-half years. As he prepares for another Super Rugby season with the Brumbies, it comes as no surprise that he takes a holistic approach to football. Thirty-one-year-old Christian was diagnosed with leukaemia in August 2016. Following a bone marrow transplant, he went into remission in January 2017. As he faces a major milestone one year on from remission, Christian is keen to talk about what is important to him: His family. “Family is massive for us,” says Christian. By “us” he means his mother Mafa, his six siblings, his partner Luga, and his two and a half-year-old son, Jeremih. The closeness of his family has given him strength. His younger sister Sally was his bone marrow donor, which gives them a special bond. He is also determined to be there for his son. When it comes to asking him questions about football it can, at times, appear to be trivial, but therein lies the conundrum. As Brumbies fans, we all want to see him playing but at the same time hoping he is not taking a risk. I felt the same way when Julian Huxley returned after brain surgery. With footballers having such a short time to profit from their talent, Christian says he is keen to keep playing beyond this season. Exactly where that will be remains undecided. He is mindful though of the impact the constant relocation could have on his son but professional rugby has the potential to set his family up for the future. When he takes to the field, Christian is surrounded by family. He has his father’s name tattooed on his left forearm and his match day wrist tape often holds the names of family members. His family though won’t be the only ones emotionally invested in his performances this season for the Brumbies.